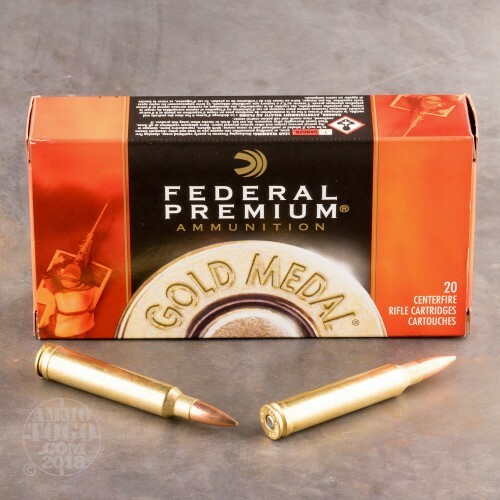 Federal’s Gold Medal line of ammunition is meant to satisfy the discerning long distance shooter in every way. 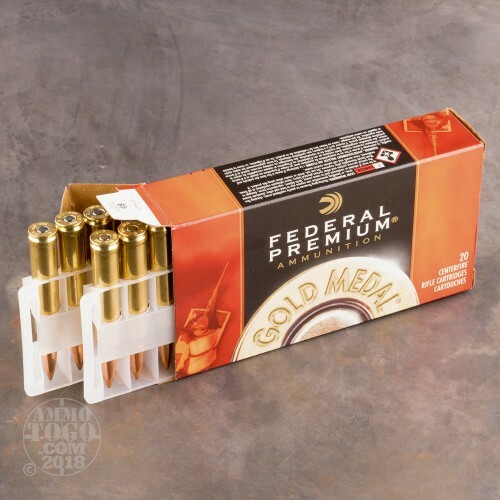 This 300 Win Mag cartridge accordingly features its Minnesotan manufacturer’s highest quality brass casing, reliable Gold Medal primer which is crafted to extremely tight tolerances, and propellant that is formulated to create the ideal chamber pressure for its caliber. 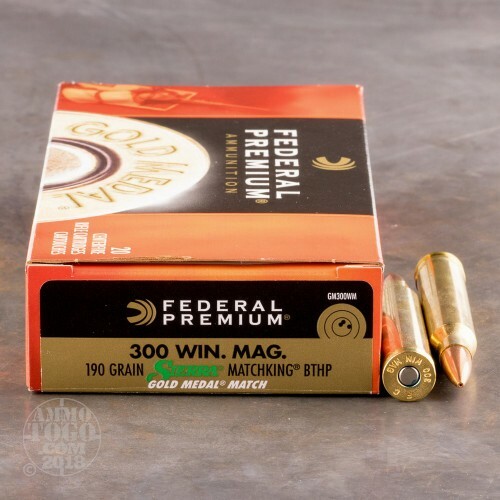 These components all comes together to provide precisely the performance that the round’s 190 grain MatchKing projectile needs to shine to its fullest potential. 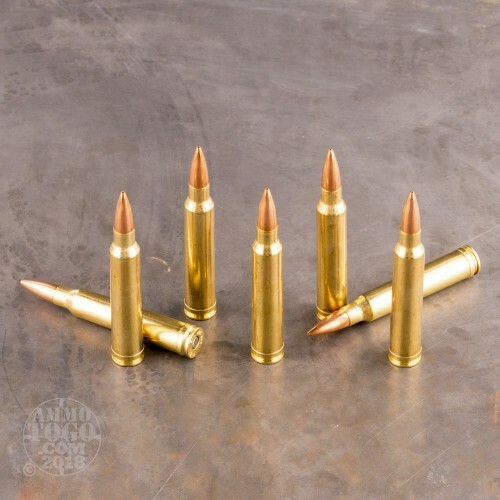 The MatchKing is Sierra’s foremost target shooting bullet, and it’s designed throughout to deliver unparalleled accuracy. This bullet’s hollow point meplat greatly lessens how much wind can influence its path in flight, as does its boat tail design. Such a tapered base further improves performance by ensuring greater downrange velocity and a flatter trajectory. The MatchKing’s jacket is drawn so concentrically that it may be said to be perfect, and a similar attention to detail has ensured that each bullet in this box weighs virtually identically to one another. As accurate as I expect Federal Gold Medal Match to be. My experience thus far has been limited, but with my Tikka T3 “Tactical” I have no trouble achieving 1 MOA groups at 200 yards, with many in the 1/2 MOA range.